Come to a planning meeting to build future actions that can unite us all. 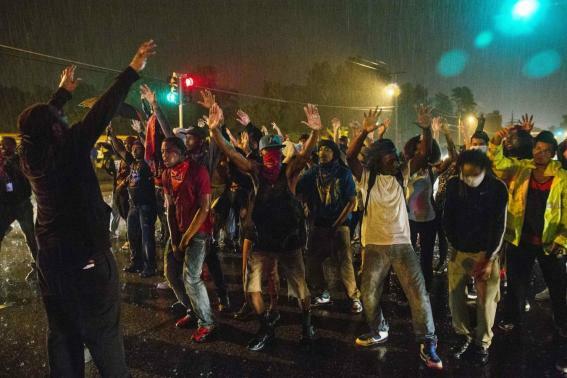 Ferguson has unleashed a torrent of anger over racist police murders of African American youth across the country. The outrage is fueled by the lack of decent jobs, housing and education while the wealth of the 1% goes up and up. Protests are breaking out everywhere. Ferguson signals the beginning of a stronger, unified movement to fight against racism and fight for economic justice. Nowhere is that movement more needed than Michigan where entire Black communities have been disenfranchised through the appointment of emergency managers by racist Governor Snyder to serve the banks. Any type of community control over the cops is also being eliminated. Come to the meeting this Monday. Report to other activists on protests and demonstrations in your area. Hear a round-up of actions across the U.S. and world-wide. Let’s discuss how we can coordinate and build the movement here in Michigan where it is so desperately needed.